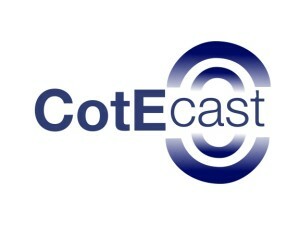 After a 6 month hiatus, CotEcast has returned. Thanks to everyone who gave us feedback on our first 12 episodes. There was a lot of positivity regarding the show, and we were humbled by how many people had listened to it and taken the time to get in touch. There was a general consensus that the episodes were too long. Whilst this allowed for in-depth discussion of topics, it made it less accessible for casual listeners. In response to this, we have decided to try a new format for CotEcast. The episodes will be shorter overall, with a question being posed at the beginning of each episode, followed by 10 minutes of discussion from the panel, who will then summarise and answer the original question. Whilst the discussion and debate may not be as comprehensive as before, we hope that this new concise format will allow people to listen more frequently, without having to commit as much time, and get listeners thinking and talking about issues related to the care of older patients. Since we started producing CotEcast, other podcasts relating to geriatric medicine have started to appear. Our particular favourites are the excellent MDTea and GEMcast. Rather than seeing these as our competitors, we hope that the new-look CotEcast will offer something that complements these other shows, and adds to the growing number of resources for clinicians who want to do better for their older patients.